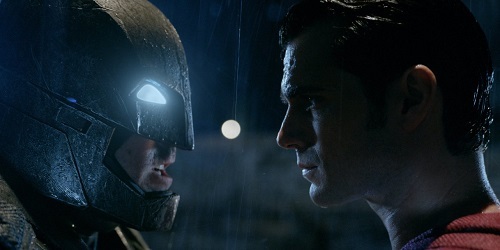 Synopsis: Fearing the actions of Superman are left unchecked, Batman takes on the man of steel, while the world wrestles with what kind of a hero it really needs. With Batman and Superman fighting each other, a new threat, Doomsday, is created by Lex Luthor. It’s up to Superman and Batman to set aside their differences along with Wonder Woman to stop Lex Luthor and Doomsday from destroying Metropolis. To say that the weight of a fanboy nation rests on the shoulders of Batman v Superman: Dawn of Justice would be to put things mildly. Whereas The Avengers was the culmination of years of careful world building and cinematic planning for Marvel fans, BvS is the DC Comics equivalent.albeit with much less time to prepare. The film is, in essence, a rushed uniting of the holy trinity (Superman, Batman, and Wonder Woman), and a preamble to the main event: a Justice League team-up movie. The only problem is that the need to set-up so many elements, both within this film and for future films, drags it down immensely. By the time the 2-hour and 40-minute film concludes, it’s hard to pull many of the disparate elements together, let alone to qualify the film as good. Batman v Superman: Dawn of Justice is a mess of a movie that, at times, can satisfy the giddy 10-year-old comic fan in all of us and in the same breath leave you utterly confused, maybe even bored. Disappointment levels may very, but there’s no denying a better movie could have been made with such iconic characters. Although Batman v Superman is ostensibly a follow-up to Man of Steel, it is generally a dual protagonist tale. There’s Clark Kent/Superman (Henry Cavill), who is dealing with the aftermath of his city-ravaging battle with Zod from the first film while simultaneously struggling with the fact that he isn’t wholly accepted as a hero. Some view him as the big blue boy scout DC Comics fans know and love, while others, like Bruce Wayne/Batman (Ben Affleck), see him as a potential doomsday device, capable of destroying the world on a whim. It’s that dichotomy that fuels a central conflict of the film, but that’s only one of them. There’s also Lex Luthor’s (Jesse Eisenberg) obsession with Superman, which is not too different from Wayne’s. Lois Lane (Adam Adams) has her own investigation running in the background. Wonder Woman/Diana Prince (Gal Gadot) is there too. Truthfully, there’s no succinct way to sum up the film, as evidenced by its rapid fire, montage-esque first hour. It’s a lot to digest and is often hard to follow, to the point it becomes exhausting. But worst of all, Batman v Superman feels like a movie that never makes its case for existing. Character motivations are confusing, plot points lack punch, and the climactic battle is a lot of spectacle and too much CGI. In the end, it’s hard not to come away wondering why specific creative decisions were made, and that’s not a good thing. That being said, DC Comics fans will still get their fanboy moments, especially those who prefer a darker Batman and have been waiting decades to see Wonder Woman on-screen. Ben Affleck’s version of Batman is extremely brutal, showcasing the Dark Knight’s power and speed. He’s easily the highlight of the film, and if nothing else his performance will leave viewers eager to see Batman’s solo film. Wonder Woman, on the other hand, is given far less screen time to develop her character, but is still memorable. Comic book movies are so overwrought with unbelievably strong leading men these days that it’s refreshing to see a female character hold her own. 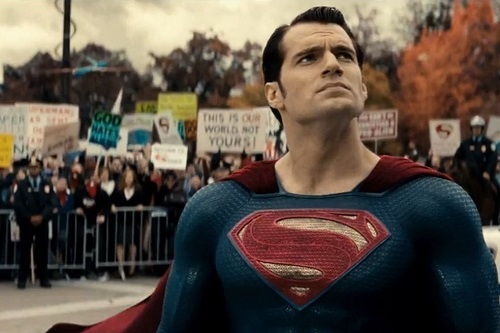 Make no mistake, Batman v Superman: Dawn of Justice has a lot of fun comic book moments, but it fumbles what could have been a major cinematic event in the DC Comics movie universe. If this is the type of ramshackle product that leads us into The Justice League, then it’s hard to imagine too many people coming away without some reservations. The inconsistent tone, the unnecessary and occasionally goofy plot points, and a need to serve too many masters at the same time all take Batman v Superman: Dawn of Justice down a peg, to the point where it becomes an OK, but not great movie. This meeting of the comic book juggernauts could have been something memorable, but instead it will leave most disappointed. On a run time-to-action sequence ratio, Batman v Superman: Dawn of Justice is arguably a little light. The action doesn’t really kick in until past the halfway point, and the marquee showdown is only about ten minutes towards the very end of the film. But, character motivations aside, what is on-screen has a giddy fanboy flavor to it, reveling in some of the best comic iterations of this epic fight. 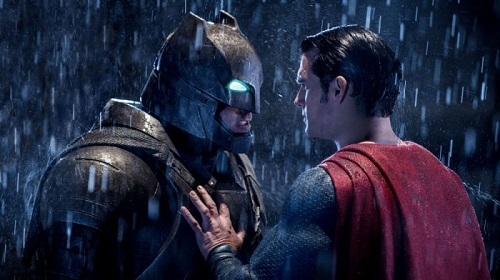 Audiences will come to the film to see Batman and Superman fight and for the most part the film delivers. Except for the conclusion, which is cringe worthy. Outside of that main event, the film’s action is entertaining in the same way that Man of Steel‘s was. Watching Superman’s strength on display is still fresh and new, and adding Wonder Woman to the mix gives a new layer of excitement. It’s just a shame there wasn’t more scenes with them in action instead of brooding. But the real highlight of the film is Batman’s action scenes, which include some brutal hand-to-hand fights and a destructive Batmobile chase sequence. Both showcase that this is a Batman who is battle hardened – one who knows that the most direct course of action is best. His fights are like ultra violent (without blood) ballets – beautiful to watch and exciting the whole way through.